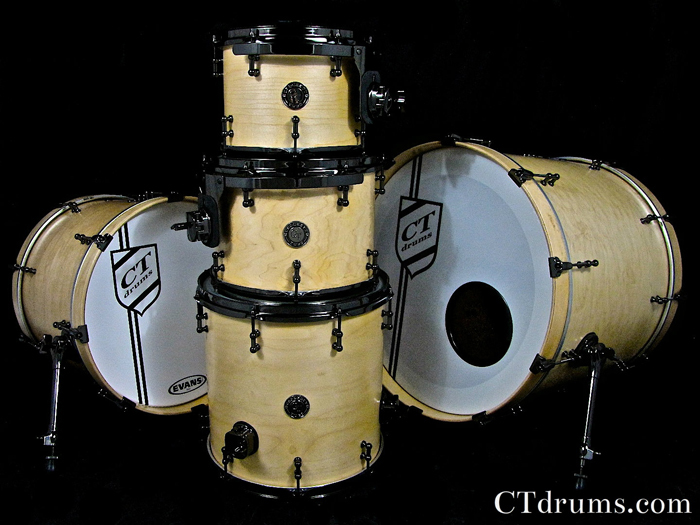 A killer kit made for all music situations and dressed to kill. Finished in a natural hard satin clear that is a specialty finish that is similar to our ultra durable high gloss top coat but with a low satin sheen. So you have the best finish clarity of the wood and greatest amount of durability than any other finish out there. 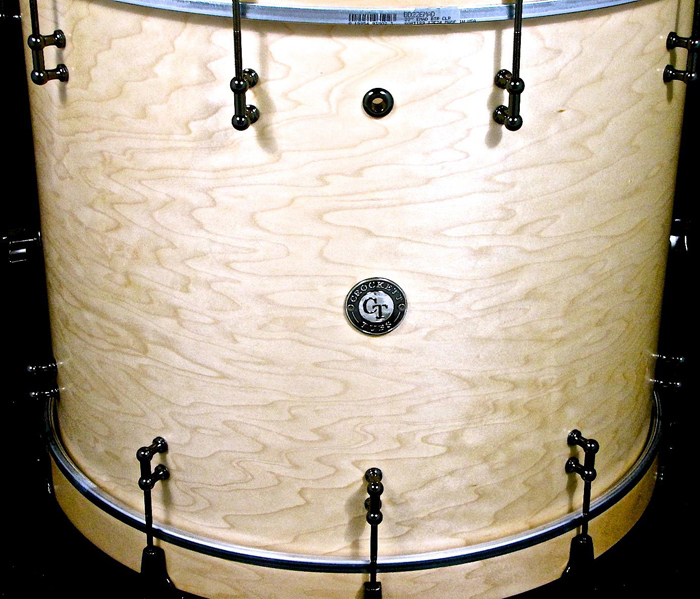 Our Standard Series all maple shells are thin for a warm full tone and great for live and recording, or for any other situation. Sizes were made with versatility in mind as well. Two different size bass drums for anything from jazz to rock, and three versatile tom sizes that can be used as a 5pc or just a 4pc with either kick drum. Sizes include 18×22″ and 14×18″ kick drums, 8×10″ and 9×12″ rack toms, 14×14″ floor tom, and our most popular snare size – 6.5×14″. These shells look gorgeous paired with the all black nickel hardware. Parts include, mini 1″ tube lugs with 50% offset, die cast bass drum claws, pro spurs, DSS tom mounts, heavy duty brackets, 2.3mm triple flanged hoops, and a Trick multi step throwoff. 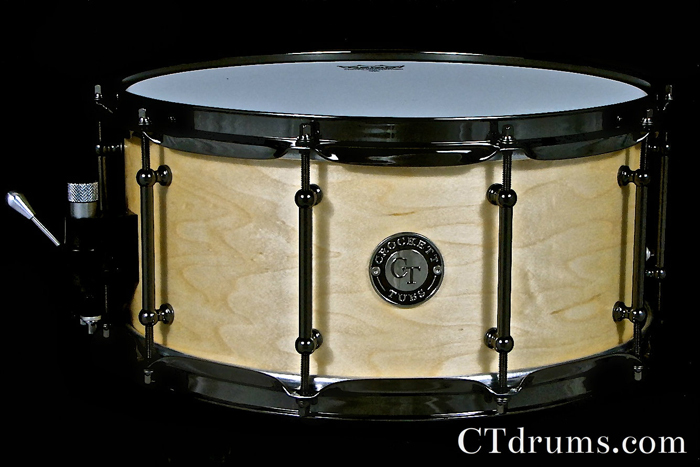 Posted on July 30, 2012, in Kits, Snares, Standard Series and tagged 14x14", 14x18", 18x22", 6.5x14", 8x10", 9x12", black nickel hardware, maple, natural, satin specialty, standard series. Bookmark the permalink. Leave a comment.